1946년 대구시 대안동에서 처음 발견되었다가 7, 8년 동안이나 행방을 알 수 가 없었는데, 그 후 다시 경북대학교 근처에서 발견되었다. 비(碑)는 길쭉한 모양의 자연석으로, 아래는 직선으로 잘려 있고 윗부분은 원형으로 처리되어 있다. 아래부분의 모습으로 보아 본래 받침돌 위에 세웠거나 암반 위를 파고 세웠던 것으로 여겨진다. 비의 내용은 건립날짜와 저수지 축조내용 및 관계된 사람들에 대한 것이다. 글자가 상당수 깎여나가 해석을 하는 데에 많은 어려움이 있으나, 신라시대 수리시설이나 사회사연구에 중요한 자료이다. 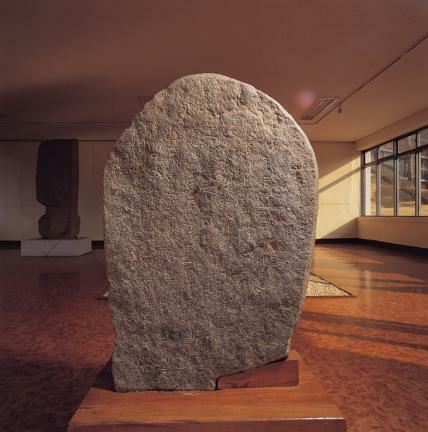 This Ojakbi monument was first found in Daean-dong, Daegu City in 1946. 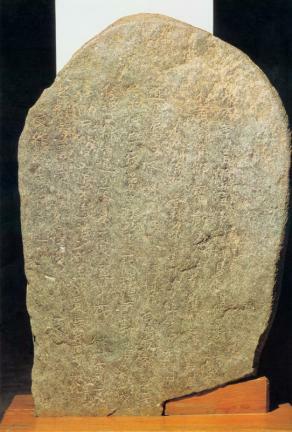 It went missing for seven or eight years, but was finally found again near Kyungpook University. The monument is composed of a long vertical rock trimmed round at the top and cut straight at the bottom. 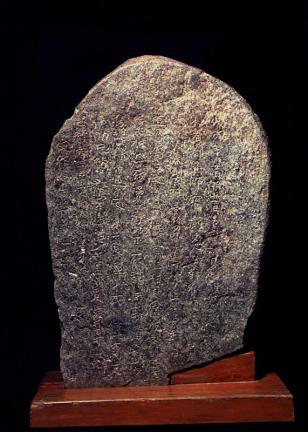 Judging from the appearance of the bottom part, it might have stood originally on a pedestal or on bedrock. The inscription includes the date of the monument’s establishment, details of the construction of a reservoir and names of the people who were involved in it. 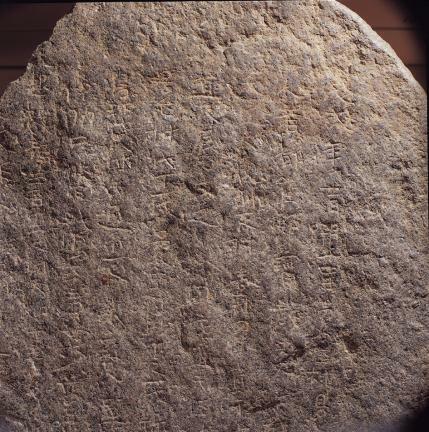 Many defaced letters give rise to controversy over the interpretation, but it is nevertheless regarded as an important material for study of the irrigation systems and of the social structure during the Silla Dynasty.